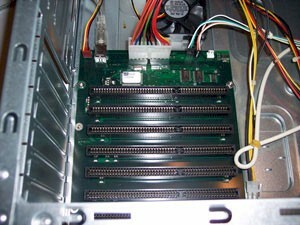 If you need to use your ISA cards, but your new computer or laptop lacks ISA slots, use our isa-x7 card together with usb2isa-sl. Dimensions: 7.0 X 6.25 X 0.5 in., 18.0 X 16.0 X 1.8 cm. 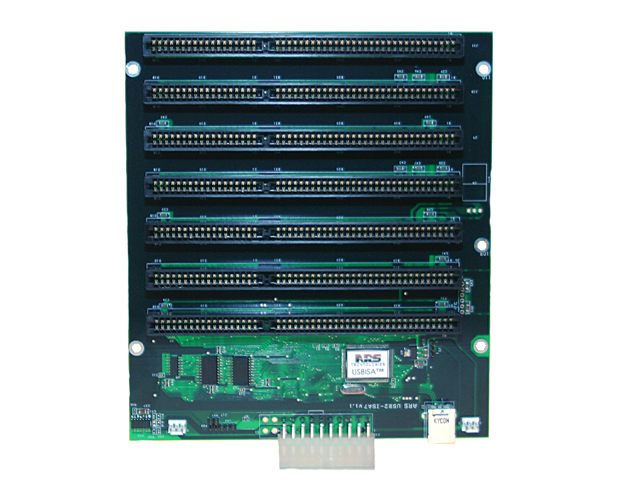 ARS Technologies’ isa-x7 allows plugging and handling of up to seven standard or custom ISA cards. 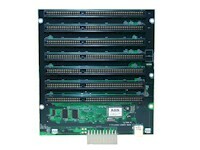 Our isa-x7 provides full access to memory and I/O space of the ISA card, and handling of IRQ and DMA events. 1. Enclosures. 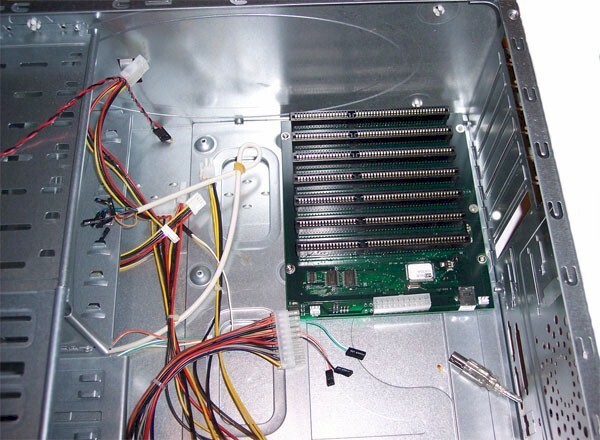 The isa-x7 product needs an empty standard desktop computer enclosure, which may or may not include an ATX type power supply. ARS Technologies currently provides no such enclosure for the isa-x7 - it needs to be purchased separately. 2. Powering needs. 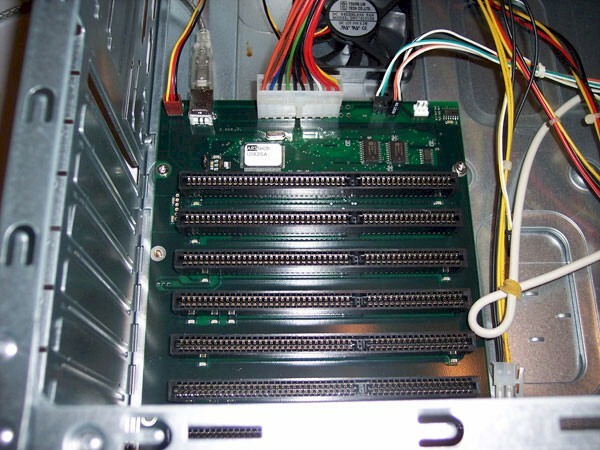 The ISA cards mounted in isa-x7 may be powered in 2 ways - by the USB cable with an optional isa-pwr module, or by an ATX power supply. To find on the voltages used by your ISA cards, please read USB2ISA-SL page for the ways of connecting and using ISA cards with usb2isa family products.